The mist enveloped the vineyards while the grey skies beckoned with a mystery that filled my heart with intrigue and wonderment. 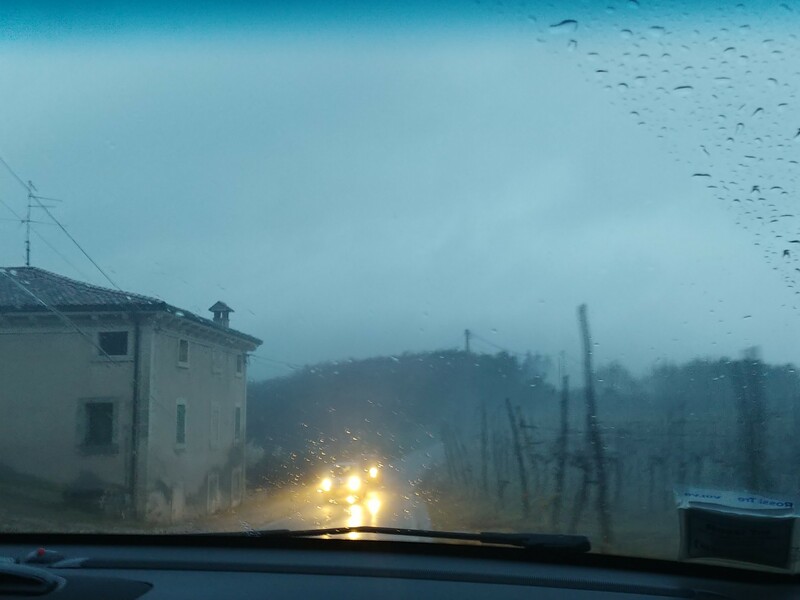 The road wove itself around tall masonry stone walls that enclosed terraced vineyards of grape varieties that made the known wines of the area. As the rain sprinkled on the windshield, patches of wet, red soil could be seen on the hillsides that highlighted the ancient volcanic layers of earth that were interspersed throughout the area. 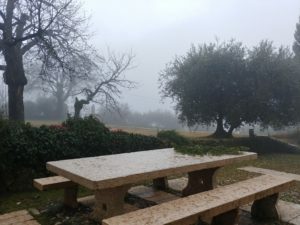 Strangely enough, this gloomy weather was like a comforting blanket that made me fall into a deep meditative state… I was in the protective embrace of Mother Nature as she rejuvenated the olive trees and vines with a break from the sun while giving a vital drink of water to all that needed it. 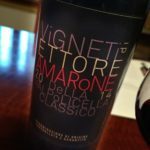 I was at Anteprima Amarone to assess the 2015 vintage as well as learn more about the current research of the Valpolicella area in northeastern Italy. Unfortunately, I got food poisoning while flying to Verona – not a good way to start off a work trip – and then I spent the rest of the time trying to make sure I didn’t get sick as it was prime cold/flu season. It was an odd experience to get sick on the flight from New York City to my connection in Frankfurt, Germany (I have never suffered from motion sickness) and it was a first for me to throw up while traveling on any type of aircraft, vessel or vehicle – usually, I quite enjoy the soothing movement. I shouldn’t have been so surprised that I could have been in trouble during my flight as the day before I was taking care of my husband while he suffered from food poisoning, and we had eaten the same thing every day before he was inflicted by the food borne illness. So there I was on a long haul Lufthansa flight, throwing up in the middle of the aisle as I was trying to get to the bathroom while feeling an odd, unsettling sensation in my stomach. Yes, I was that person! If I was in better shape I would have apologized to everyone around me. Again, because this has never happened to me on a flight or any other moving vehicle, I never thought that would have happened or I would have brought the “barf bag” with me. By the way, I need to give a big shout out to the Lufthansa airline stewards and stewardesses who came to my aide and stayed with me throughout the rest of the flight. They placed me in premium economy as there was a row of seats vacant (and I was glad not to bother anyone else), made me herbal tea with honey, took turns sitting by my side (accompanying me to the bathroom and waiting until I got out), gave me oxygen from an emergency tank and just gave me an overall feeling of warmth and comfort. It was hard to leave them! 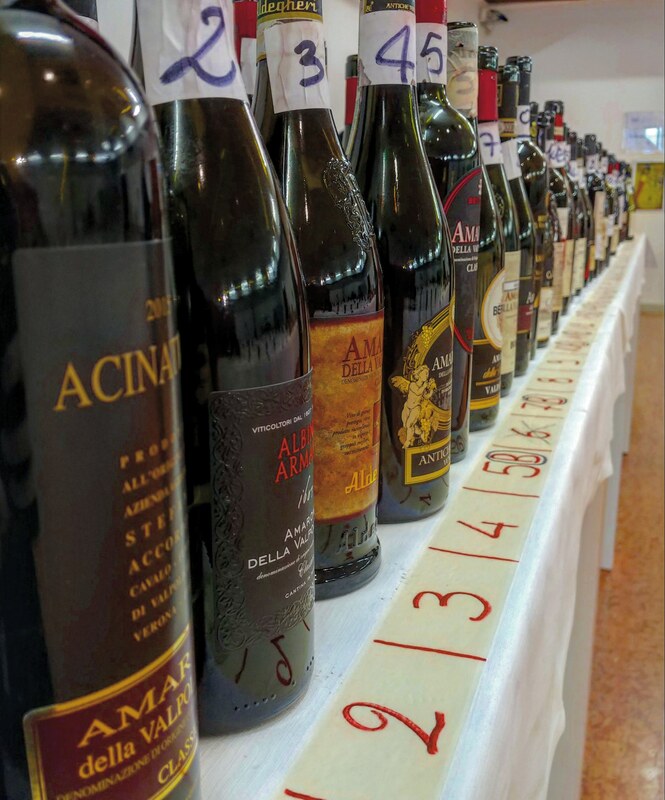 So when I arrived at Anteprima Amarone, taking place in Verona, Italy, I was not in the best shape but my favorite parts of the trip – the learning, connecting with people from around the world and the focus on tasting/analyzing the wines helped to perk me up. 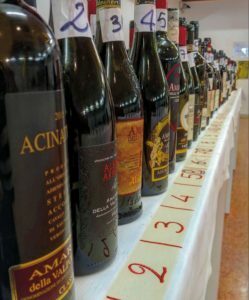 And interestingly enough, because my body and mind was so exhausted from trying to recover from food poisoning, I was able to intensely focus in during my tasting of the new 2015 Amarone wines that included 68 different producers. I could taste all the nuances and textural contrasts as my mind was not distracted by anything – I simply did not have the energy – and it was soothing to just sit peacefully there for three hours while concentrating on the wines. After I finished, a part of me wanted to just go back to my room and rest before I woke up the next day at 4am to take the long journey back home, but there was one producer who I was dying to talk to and if I didn’t talk to them I knew I would regret it. 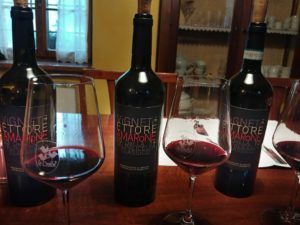 At last year’s Anteprima Amarone (2014 vintage) I discovered a small producer called Vigneti di Ettore – their wine had such a beautiful sense of minerality and purity of fruit expression. And so I made my way to their booth which was downstairs from the 2015 vintage tasting to talk to the grandson, Gabriele Righetti, who is now the winemaker. Gabriele’s grandfather, Ettore, led the Winegrowers’ Cooperative of Negrar, the Cantina di Negrar, through the ups and downs of Valpolicella – even during the times when growers wanted to abandon their vineyards. 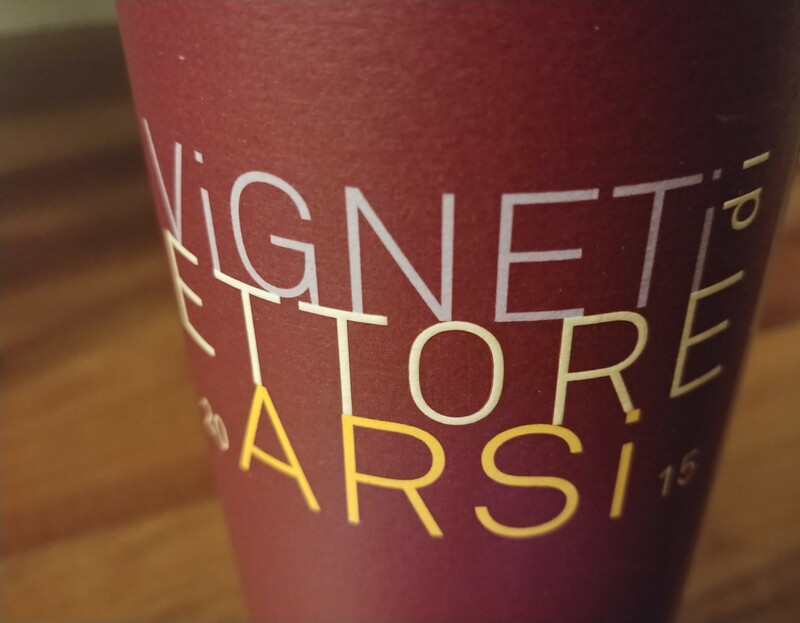 Although the Vigneti di Ettore vineyards were established in 1930, the grapes were never vinified until 2011. Ettore’s grandson (Gabriele) got the winemaking bug and went to enology school so he could help his grandfather accomplish the dream of producing wines with finesse Ettore always knew in his heart that the land of Valpolicella could yield. 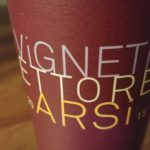 So I went to Vigneti di Ettore’s booth as they were pouring wines to media and wine trade amongst other producers and I was able to pick Gabriele’s brain about what he tries to achieve with his wines. Not surprisingly, it was rooted in purity of fruit and expression of place with an overall freshness and finesse. Earlier, he had mentioned that he could set up a visit to his winery but I thought there was no way that could happen as he seemed overwhelmed with people wanting to talk to him. Then he quickly messaged his father, Giampaolo, to see if he could take me to their winery and within 30 minutes I was in the car with Gabriele’s father as we drove up to the hills of Valpolicella during a cold, rainy day. It was impressive visiting the Vigneti di Ettore cellar as they were experimenting with using different types of oak in various sizes (Slovenian and French oak/tonneau and barrique sizes) to find the most subtle that would bring out the best qualities of each variety – as some of you may know, Valpolicella uses a blend of red grape varieties to make their four different styles of DOC/DOCG wines: Valpolicella, Ripasso, Amarone and Recioto. They only use native varieties, mainly Corvina and Corvinone, but they work with several other indigenous varieties without using any international grapes. One of the indigenous varieties that has been discovered in recent times is the Spigamonte grape that has a lovely floral and spicy note, and goes with the complex aromatics that all top quality Valpolicella wines aspire to achieve. It also has lots of tannins that can have a round quality when handled correctly, and so, it is great to give a wine structure and ageability. 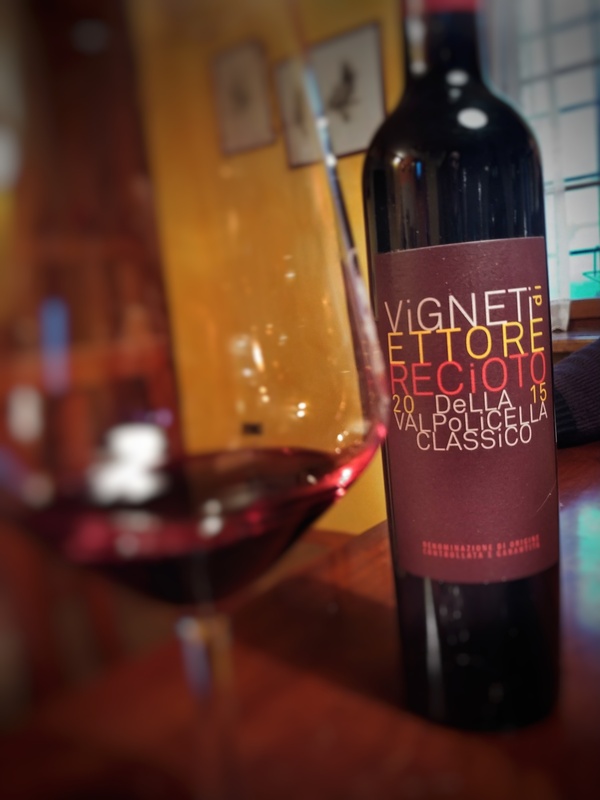 Also, an interesting side note is that Spigamonte was discovered due to the vineyard recovery project that Cantina Valpolicella Negrar implemented, and so there is a special connection to Gabriele’s grandfather. It was wonderful to see Gabriele taking this winery to the next level with not only a fresh interpretation of these classic wines but also coming up with a fascinating new one called “Arsi”. 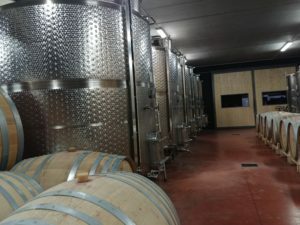 It is made like an Amarone (drying the grapes after harvest) but the drying period is only for 50 days instead of the 90-120 that is required by the Amarone DOCG and malolatic fermentation is blocked – a conversion of malic acid to lactic acid to make the wine less acidic (typically allowed in most red wines). It was zingy with those complex Amarone aromas and a bright finish. Giampaolo was really impressed with his son’s ability to make such amazing wines and when I also commented on their incredible labels, he smiled as he said that they were made by a friend, and so they were special to the family. As Giampaolo was driving me back through the mist, he was talking about his love of traveling and meeting people from around the world. He said that it was one of the reasons he has a bed and breakfast call Le Croibe at the winery – which also was attached to his home – is because he greatly enjoys talking to people to learn more about their homes and way of life. We even both agreed how much we would love to travel across the Middle East but that right now was not the best time to do so – hopefully that will change in both of our lifetimes. It was one of those conversations where I felt so much better for having it and it recharged my body, mind and soul. It is easy to remember what is important when we are in our own homes and dealing with our own personal responsibilities, but the world can be overwhelming… and down right frightening at times when we are placed in harrowing situations. We sometimes feel all alone in our struggle when we are out in the world… but when we take the time, or our bodies force us to slow down, and we are able to see through everything that filters out what is at the heart of any moment, we realize that we never walk alone in this world, which is one of the most important things we often forget. 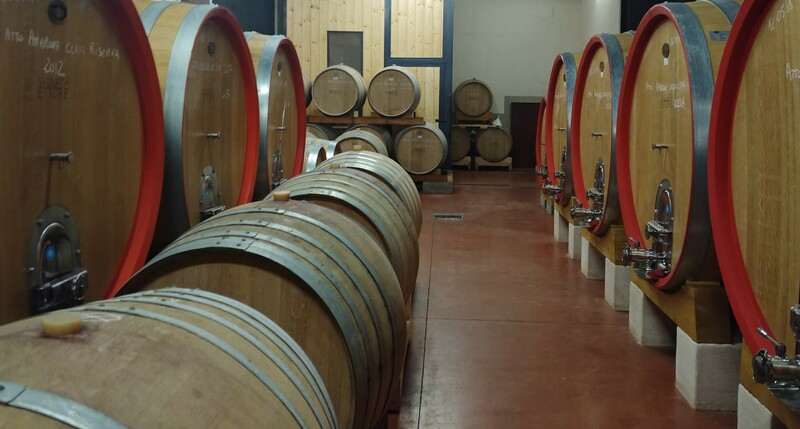 Vertical of 2015, 2014 and 2012 Amarone della Valpolicella DOCG wines that generally have a blend of 75% Corvina and Corvinone, 10% Rondinella, 10% Croatina and 5% Oseleta from 40 year old vines. This is a dry red wine that has had the grapes go through a drying process of around 100 days after harvest. 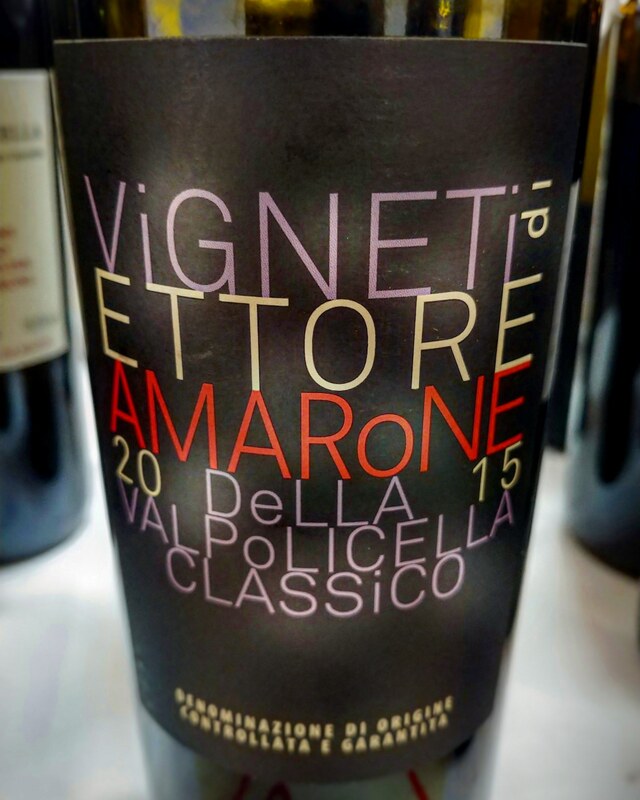 2015 Amarone della Valpolicella DOCG Classico: A wine that was singing and very bright with lots of vitality – raspberry, cranberries and cherries that had hints of spice and an intense energy made it thrilling on the finish. 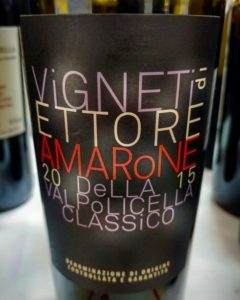 2014 Amarone della Valpolicella DOCG Classico: This wine had an overall finesse and elegance that I immediately loved with aromas of cumin seeds, lily of the valley, rose water and raspberry scone. Its aromas wafted around my head for several minutes after my first taste. 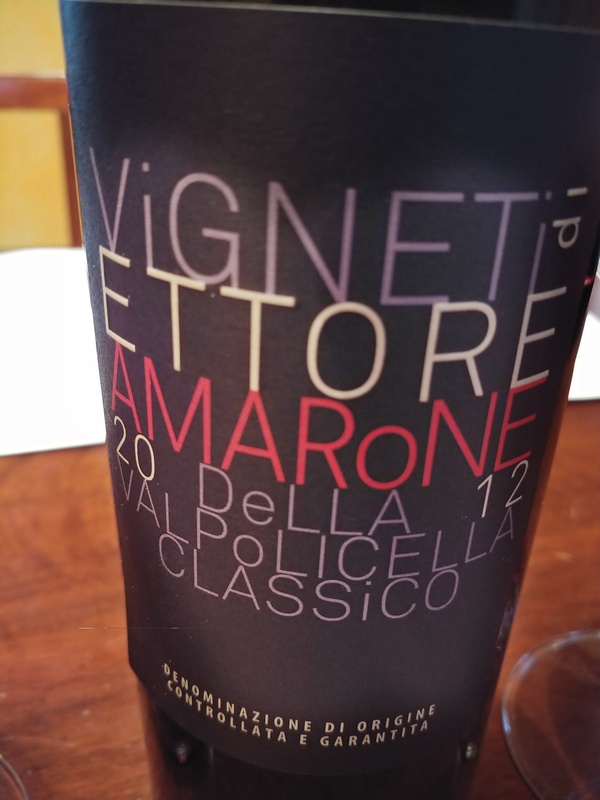 2012 Amarone della Valpolicella DOCG Classico: An intoxicating nose with black cherry skins, fresh leather and pressed flowers that had a lovely precision and long expression of flavor. 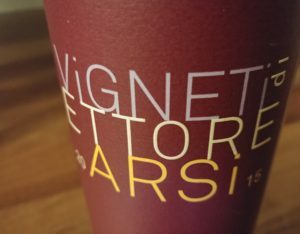 2015 “Arsi”, Rosso Verona IGT: This wine is not exported outside of Italy but it is a big favorite with young wine drinkers in Verona. Grapes are dried for 50 days and malolactic is blocked. 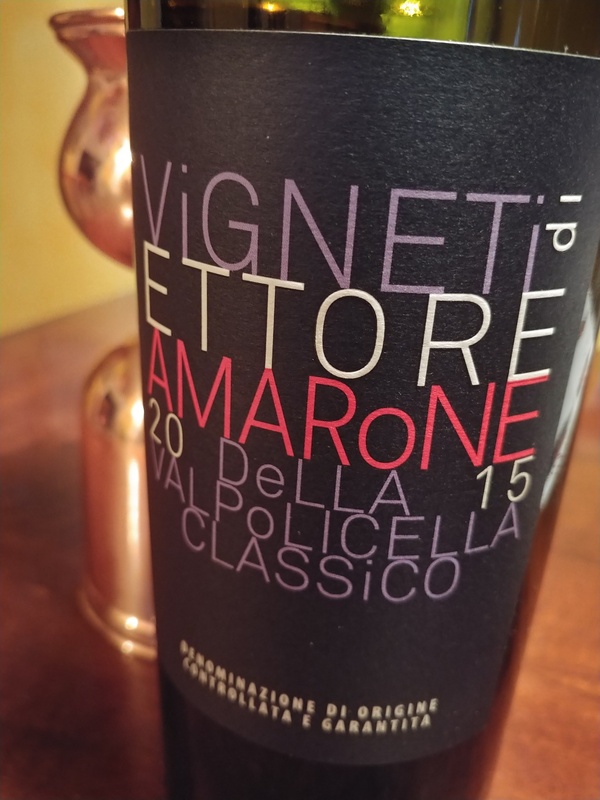 A zingy wine with sour red cherries and black pepper that had a fierce minerality on the mouth watering finish – exciting to see the possible future of Amarone with this wine. 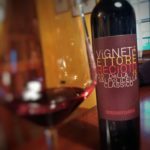 2015 Recioto della Valpolicella DOCG Classico: 40% Corvinone, 35% Corvina, 15% Rondinella and 10% Croatina. Grapes dried for 120 days (Recioto DOCG allows 120-150 days) and this is the sweet wine sibling to Amarone. Smoldering earth with rhubarb compote and plum pie that had baking spices with a hint of cocoa powder with a lush, flavorful long finish.